Share the post "Delicious Sweets from the Balkans"
The Balkan Peninsula is one big plate of different countries rich with, more or less, the similar culture, habits and tradition. It’s a pity that these countries are mostly known for the Balkan wars, the political conflicts and regimes, but behind this painful past are hidden lots of beautiful things. The Balkan countries merge the most interesting and appealing things – Nature and food. Add the rice in boiled water and mix until it gets tender and soft, but don’t let it become sludge. Add the milk, sugar and vanilla sugar. Add the vanilla pudding and mix until the mixture is boiled. Before you take it off the hob, prepare small glass dishes; put them under hot water and let them wet. This will help the rice to stay soft. Put the boiled mixture in the dishes and add cinnamon and/or grated chocolate. Сrushed nuts (hazelnuts and almonds), 100g. Melt the butter, and add sugar and milk to it. In a bowl, add the previously crushed biscuits, grated chocolate, crushed nuts and waffles, and mix this with a spoon. Gradually add the liquid mixture until it gets the density. 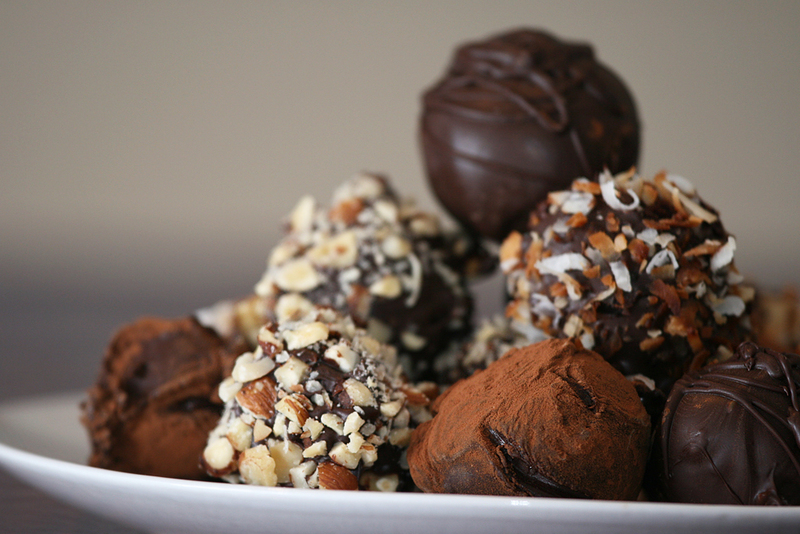 From this mixture, form balls (bombici) and roll them in coconut, chocolate or nuts if desired. Semisweet or bittersweet, dark chocolate, 100 gr. Mix the biscuits and the nuts in the same bowl and ground them. In a heatproof bowl, put the 1 ¼ cup sugar, ¼ cup water and 80 gr. butter, and put them in the microwave. When they dissolve, add them to the biscuit-nut mixture and mix until it merges. In another bowl, melt 100 gr. 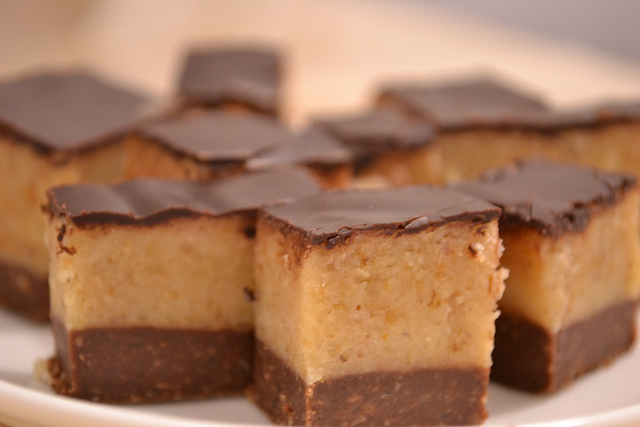 of chocolate and stir into half of the nut-biscuit mixture. Prepare an 8 inch pan and put the nut-biscuit half without chocolate, then spread it in an even layer. Add the chocolate nut-biscuit mixture, and then make the third layer with the remaining plain nut-biscuit mixture. Melt the chocolate mixed with sugar, water and butter. Pour over the cake and let cool. Refrigerate the cake and cut it into small rectangles.